Sapa is a small, mountain town in Lao Cai Province. It is located about 350 km northwest of Hanoi, close to the Chinese border. Here's where you'll find the Hoang Lien Son range of mountains, which includes Fansipan - the country's highest peak. This quiet Vietnamese town is home to different ethnic tribal groups. It is said that Sapa was first occupied by the first four groups, since the Vietnamese from the lowlands (better known as the Kinh) did not colonise the highest valleys. These days, Sapa welcomes a diverse range of visitors, attracted by the highland tribes, iconic rice paddies and forest treks. The whole area is blessed with awe-inspiring natural beauty. 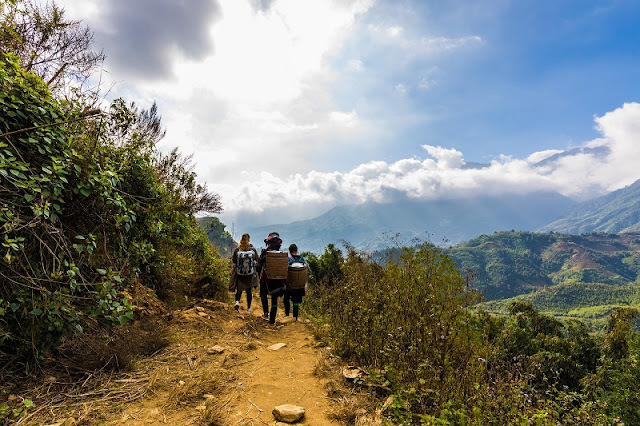 Particularly coming to Sapa without trying some exciting experiences in Sapa, you will never have the perfect holiday on your journey of Vietnam travel. Trekking through the terraced rice fields of the Muong Hoa Valley was by far my favorite experience during my time in Sa Pa. I booked a 1-day trek upon arrival with the Sapa Sisters, a local Hmong trekking group that is entirely owned and run by women. The trek takes you on an experience that teaches you about the culture of the H'mong people. You'll walk through terraced rice fields, see a bamboo forest and interact with locals to learn about the way that they live. They also offer multi-day treks that offer accommodations in homestay or your tour guide’s home. I highly recommend booking an experience with them before you arrive. Sa Pa town is very walkable and worth spending a few hours exploring without having a specific destination. The center of Sa Pa is Square, which houses a local market on weekends and is located next to a beautiful church. There are local shops, cafes and street food pop-ups. We enjoyed walking off the main drag of P. Cau May and exploring the side streets and local architecture. 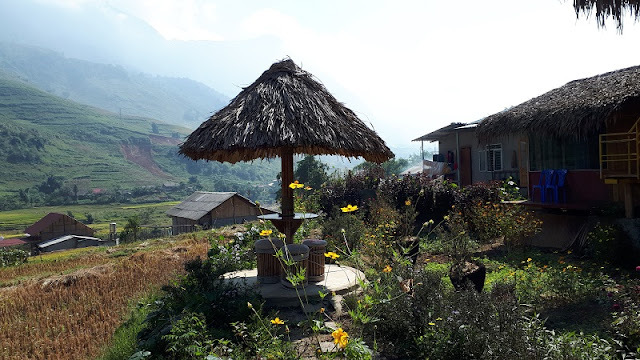 Homestay is what to do in Sapa if you would like to have fantastic experiences to discover customs, traditions and practices of some ethnic minorities in Sapa. This is also a chance to share some interesting stories with the host family, and enjoy special foods. Visiting Sapa, you shouldn’t miss busy Sapa markets, which express cultural distinction of the ethnic minorities here. There are some bustling fairs such as Coc Ly, Bac Ha, Can Cau… where take place several trading activities of diversified goods such as brocade, jewelry, weaving products, etc of hill tribes in the mountain area. In addition, you can see the locals in their colorful traditional dress. All of them make Sapa as one of the best places to visit in Vietnam. Sapa owns the grand mountains, thus Sapa trekking will be an ideal activity in this area with adventure tour. 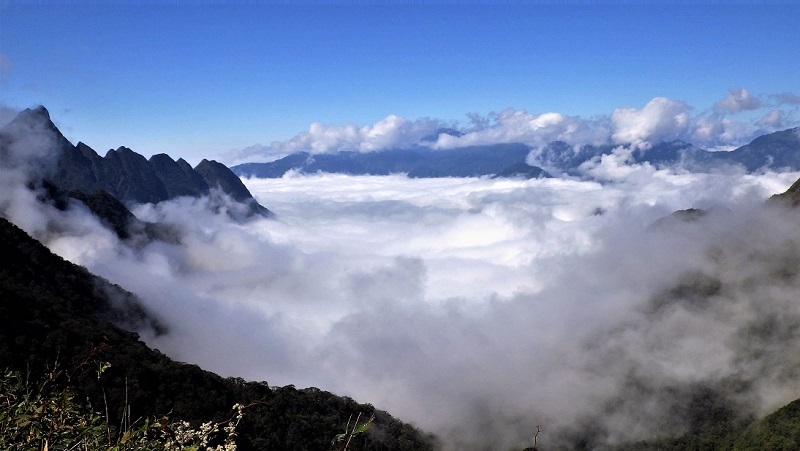 And Fansipan Mountain, which is the highest mountains in Vietnam and known as the roof of Indochina is always the first choice of visitors to have a trek and climb. These activities will give you the feel of challenging and winning, especially when you are at the peak.